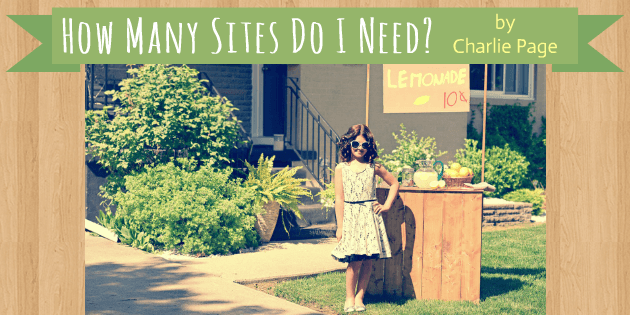 →How Many Sites Do I Need? There is a dangerous trend in online business that can rob you of your opportunity to succeed, rob you of your money, and rob you of your time. If you have fallen prey to this bad idea, you need to know it's not your fault. You also need to know that going down this wrong road is not a deal killer. You can still succeed online, even if you have been a victim of this wrong strategy. I have clients who are succeeding who were trapped in this wrong idea for years. The problem is having too many sites. The problem started when clever marketers realized they could make success seem easy by persuading customers to build many "niche" sites in order to make sales. While this idea seems like it might work, it leads to disappointment and wasted effort in far too many cases. If you have ever suspected that "niche marketing" by creating 10 or 30 or even 100 blogs sounded too good to be true, you were right. Don't lose hope though because there is an answer inside this very article! And if you are a person who owns 10 or more sites now, it is very possible that the seeds of your future success lie within the work you have already done! Before we look at the answer, let's look at why having too many sites is a problem for almost everyone who tries this approach. Causes you confusion in your work. Leaves you open to your sites being hacked. To make matters worse, well meaning people are building blog after blog on topics so obscure, and with audiences so small, that monetizing them is next to impossible. Does anyone really make any money at all with a site about adirondack chairs? Now let's look at the solution and why it's vital for you to take action today and focus your efforts in order to make money online. The solution is to focus your time and attention on ONE BLOG ... your home base. Let's start with the obvious question ... why one BLOG? It's what I do. I know it works. It's what all major marketers do. It's what large companies do. It's what I do for clients. Why Should You Have ONE Blog As Your Online Home Base? Experience has proven that there are many reasons for having one blog as your home base. Setting aside reasons like "it's what the gurus all do" let's look at the top five reasons why a WordPress blog should be your online home base. We all know that focus is important, right? We work best when we focus. We don't like it when we are interrupted. We don't perform as well when we "multitask". But the kind of focus I'm talking about is not work focus but marketing focus. The need to have your site be about one big thing and one big thing only. When you have a powerful, profitable blog you can become a leader in your market using content marketing. You become the trusted resource in your field. The "go to" person for when people need an answer. And you can develop relationships that last a very long time. I know because I've been there. We have customers who started with us at the Directory of Ezines over 15 years ago and are still buying my new products today. Focus is how you build an army of loyal buyers and friends. Stop for one moment and think about a topic you know well. It might be something spiritual. It might be how to have a successful marriage. Now answer this - if I paid you $100 per article for articles on THAT topic, how many could you crank out? But if I made the same $100 per article offer and told you they needed to be on lean manufacturing AND on rock climbing AND on parenting AND on Bible study AND on planning a family vacation your job would be almost impossible. And yet that is the struggle niche marketers face every day. And it is this struggle that drives them to Fiverr or PLR for articles that end up making them look far less than authoritative. If you stay with what you know posting, research, writing, and recording all become easy. I know many of you will not be comfortable with the idea of being an "authority" But what is an authority anyway? Is it not simply a person who knows more than their audience and can help their audience make progress in a specific area? Let's take WebMD for example. WebMD is the most trusted site online. They have more page 1 rankings on Google than any other site in their niche. But consider this ... WebMD publishes about hundreds of topics related to health. Why do they not have hundreds of blogs, each one about a specific topic? Because they know that they would never achieve as many Page 1 rankings, or as much authority, if they split their focus. No matter what Big Topic you cover, do yourself and your audience a favor and host ALL of that content under one roof. Your audience will thank you. Your schedule will thank you. And Google will reward you. 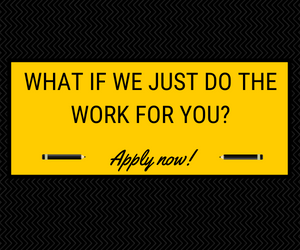 Let's say you could run ads and successfully drive 1000 visitors to any site you wanted. I know that sounds like fantasy to some, but believe me when I tell you the day will come when you can do that at will. So, you have 1000 visitors ... to which site do you send these 1000 visitors and WHAT WILL HAPPEN based on your choices? If you have a dozen websites, and many people do, and you split those 1000 visitors between them, you will send only 83 visitors to each website. You will not sell anything online by getting ONLY 83 visitors to a website. Not trying to be negative. Just sharing the facts. If you get 1 out of 100 visitors to buy you have a 1% conversion. And a 1% conversion to sales is high in most peoples' experience. So sending only 83 visitors to a site, in most cases, just does not create sales. You would not even get one sale. You miss that magic 100 number by 17 visitors. Remember, we are dealing with averages here. If you have one website and drive ALL 1000 visitors there your odds of making a sale rise dramatically! Let's say the site has a 1% conversion rate as in the first example. That means 1 out of 100 visitors makes a purchase. How many sales would you make? If you send 1000 visitors to one website, and that site has a 1% conversion rate YOU WOULD MAKE 10 SALES! And TEN SALES can create enough profit to keep going! By focusing ALL traffic to one website (your blog) you can achieve real results and put marketing power on your side. Even with today's cheap hosting, and even given that WordPress is free, there is a cost for each site you own. A cost of money for additional plugins, hosting, etc. A cost of time to check on each site every day. A cost of focus as you struggle to keep up with content. Perhaps worst of all, you run a huge risk of your site being hacked if you are not checking on it regularly. When I work with clients who are doing niche marketing using many blogs they often report not logging in to their own blogs for months. That means that plugins and themes are not being updated, comments are not being approved and spam comments deleted, and it all adds up to risk. In my experience online (over 18 years as I write this) there is no doubt in my mind that having ONE powerful home base is the right strategy. After that site is succeeding you can expand to more sites, using what you learned while building your powerful home base. There are many reasons for starting with ONE powerful home base and expanding after that home base is profitable. But the big one- the most important one of all - is that sending all traffic (from all sources) to ONE website gives you the best chance to succeed early and keep going. If you want to stop chasing shiny objects and begin focusing your marketing efforts on something that can work consider having one home base first, and then expanding only after that site succeeds. Because having a powerful home base from which to help people, build your list and, yes, sell things too, is a beautiful thing indeed! Why one can not send all 1000 visitors to all 12 sites ? choose one or two or three as they like. That sounds logical but it just does not work in my experience. A confused mind does not make a decision, and offering a person 12 options, generally speaking, creates confusion. There are exceptions of course, like Amazon. But when selling products online it is better to focus the mind on a specific product and the benefits of that product in my view. I have one website & I am focusing all my marketing efforts towards it! I think you are right. I haven’t yet got a website, so I couldn’t say, although I am in the process of building one. Oh, just realized, I do have one that was created for me that I haven’t done anything with yet. The above is just a name, nothing on it yet. Good advice. I trust by comparing to 12 sites you are considering the one site to have several offers. With many offers at one site people can be confused. Menu management is important. Maybe you could address that thought in another blog post.???? I will do just that. Great point! I was comparing to 12 sites that make one offer each, as competing offers can indeed be confusing. Excellent advice-wish I had seen it a long time ago! That is the right line of thinking in my view. One of the things I was going to add to the article, but ran out of space, was to say that the skills you learn making one site profitable transfer perfectly to all the other sites you want to build. Good day, Charlie. Currently, I have three websites. But honestly, I only focus on one website and working on it. I plan to have another websites for other niches once I understand well about whole process of making money online via my website first. I found that having more than one website can distract me too. Well, I wonder can we just depend on google SEO and social media to earn traffic once we have a website? Thanks! If you provide value to the people who visit your site you won’t have to worry about Google or social or any of that. The only thing we can control is our effort, and if that effort is providing the very best value possible I believe we do well. Charlie, I agree with you 100%. Although I don’t quite practice this, myself. I’m down to two sites – 1 B2C and 1 B2B (offline at the moment, story for another day). I tried going the multiple site route, and it’s just like you said – you end up spreading yourself way too thin. Not just sending traffic, but maintenance, adding content, etc. You forgot to add the zero above the number 1 ? You’re the one person who can truthfully say, ” I may not always be right, but I’m never wrong.” One of these days it will all sink in and then maybe the past won’t have to keep repeating itself. to be my Hub for all the programs I market. That’s especially important if you promote not only products but programs. You can make a category for each and post or curate content, and even add a private area using Wishlist (or another membership plugin) if you so choose. Yeah, that is really true. The more websites you have the more work you need to do to get content to all the sites. 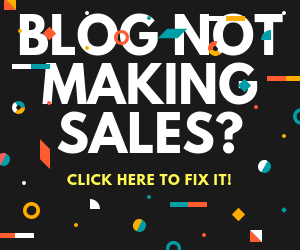 I had some years back software that pulled automatically content to the sites…but, okay I have lots of visitors but…that’s right but no sales everyone comes to my sites but no one clicks on something. But on my main site I am not more concentrated I get at least every day a few sign ups and these sign ups I try to channel to my autoresponder and try to keep guard them as an asset. I am trying to get slowly again to all the stuff to work on the different projects as putting squeeze pages on the site where people can go and so on but it takes a bit time and I do not have every day the time necessary to do everything. Another problem is that I still get sometimes a bit out of focus and do other things that takes time off of me. But I feel that since I have a little bit followed your follow up system I have made some progress in focusing and doing something to get it working and rolling. But I feel that I still need more promotion for the squeeze pages and so on. It is getting slowly but I think it is moving. What is normally the best way when you have websites without doing anything is it better to put them on parking or what is the best way. I guess you have to pay for all that sites anyway. Or is it better to offer them for sale. Nice article and lots of stuff for opening your eyes, thanks Charlie. Hi Anton. I’m happy what you are learning is beginning to work. I know time and focus are hard issues to address, but you can do it! I used to park them at GoDaddy, and tried their “cash parking” but that did not work for me.